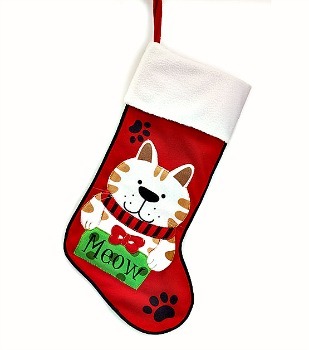 Make your Fur Baby feel Special with this Red Felt Paw Prints Dog Stocking with White Fleece Top and Black Trim. 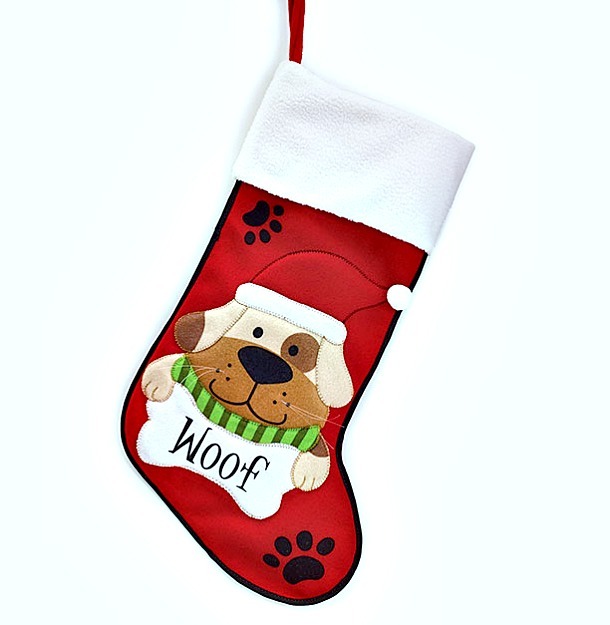 Features a Dog with Santa Hat & Scarf holding a Bone that reads "Woof." Really Nice Stocking!! Measures 19"H X 10 1/4"W with 8" Opening; 21 3/4"Tall counting Red Hanging Loop.